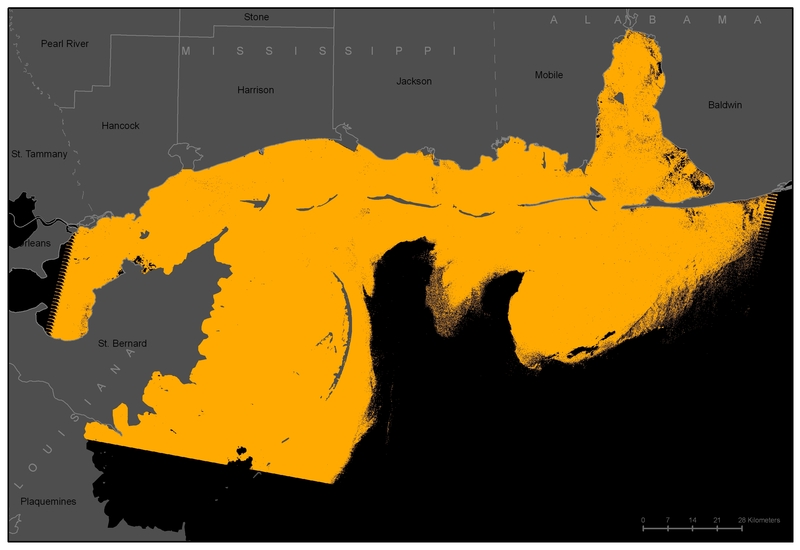 The Sediment Analysis Network for Decision Support (SANDS) project is helping resolve Gulf of Mexico Alliance (GOMA) priority issues by generating decision support products from MODIS and Landsat, data. The Geological Survey of Alabama (GSA) and the Information Technology and Systems Center (ITSC) at the University of Alabama in Huntsville were collaborators on this NASA funded effort. The ITSC obtained the remotely sensed data from NASA data centers. The data sets were subset over the Nothern Gulf of Mexico study region and converted to GeoTiff format for analysis by GSA. GSA produced enhanced imagery from both MODIS and Landsat data that demonstrate the ability to extract suspended sediments from remote sensing data. The analysis has also revealed that oil floating on the surface can be extraced using the same technique. All data involved in the project are available from the Global hydrology Resource Center and the SANDS data portal.